Dog Eared Publicity: On Tour: The Princess and the Little Man by Tim Ronald O. 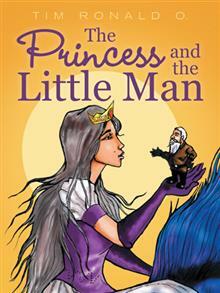 On Tour: The Princess and the Little Man by Tim Ronald O. In a time and place where things were simple and magical, the fates of two lands with different cultures rest on the shoulders of a young princess and her unfortunate companion. Gerard, an unadventurous, obedient servant of an evil crone named Judith, has his life turned upside down by Abigail the silver mare and soon finds himself on a journey that will change his life. Princess Christy of Ordinarius, a courageous and fun-loving sixteen-year-old, embarks on an auspicious voyage with her hairy blue dragon, Eva, for protection. Meanwhile, Prince Ron and his cat-chameleon, Grime, gradually arrive at the center of an age-old battle between his land, Illustris; Princess Christy's Ordinarius; and the Evil Crone Forest. In encounters across their lands, these brave young royals discover strange truths that will change their lives forever. In this fantasy novel for middle readers, a princess, a prince, and their companions must work together to save the lands of Illustris and Ordinarius from the dark magic of the evil crones. Tim Ronald O. discovered the multifaceted art of writing while studying for an MSc. After achieving a nidan black belt in shotokan karate-do, his love for martial arts blossomed into a thirst for adventure and eventually evolved into a ravenous interest for arts and sciences in general.